The Supreme Court today dismissed a PIL by National Lawyers’ Campaign for Judicial Transparency and Reforms which sought a new mechanism for the appointment of Judges in High Courts and Supreme Court outside the control of the judiciary and the executive saying "we cannot amend the constitution". "We are dismissing it. We see no merit in this petition..Your ideas may be good or bad we are not commenting. But your prayers...what all you are asking cannot be done without quashing certain constitutional provisions", a bench of Justice Arun Mishra and Justice U U Lalit told advocates Mathew J. Nedumpara and A.C. Philip who sought formation of a “public, transparent body” free from judiciary and executive. "Can it be done? Can we do it? No" justice Mishra told Nedumpara. "WE WILL NOT COMMENT ON MOP"
When the lawyer touched upon Memorandum of Procedure being prepared by the Centre in consultation with the collegium, the bench prevented Nedumpara from doing so saying "can a proposed MoP be questioned? Let it be crystallised ..let it come out...then we will see". Justices Mishra and Lalit pulled up Nedumpara for occasionally raising his voice while arguing. Justice Mishra said: "please lower your voice and come to relevant portion. You are deviating. Are you adressing the members of the Bar or us. This is not the way to argue...mind it"
At this juncture Justice Lalit asked Nedumpara: " are you playing to the gallery? It seems so". According to the Petition which highlights the “nepotism and favouritism” prevalent in the Collegium system of judges appointing judges the present mode of appointment of Judges to the higher judiciary, one which is nothing but rewriting of the Constitution, to keep political interference in judicial appointments completely at bay, so too to appoint the very best and most deserving Judges, has totally failed and it has, instead, meant monopolizing the august office of Judges of the higher judiciary by the kith and kin of sitting and former Judges of the Supreme Court and High Courts, their juniors, celebrated lawyers. The petition comes at a time when Justice J. Chelameswar, lone dissenter in the NJAC judgment triggered a controversy by writing to the Chief Justice his decision to skip Collegium meetings till a transparent mechanism is ushered in. The main prayer of the pertinent Petition is to issue a writ of mandamus or any other appropriate writ, order or direction, directing the Union of India to bring into existence such legislative or administrative measures for the creation of a non-governmental/non-departmental public body, nay, a Judicial Appointment Commission which will be independent of both the executive and the judiciary to select Judges for the higher judiciary by inviting applications from all eligible candidates, invite references from all stakeholders, the Bar Associations, the public at large, and above all to see that “Judges are not only selected in a fair and open way but are seen by the public to have been chosen in the fairest possible way taking nothing into account other than their merit and character”. 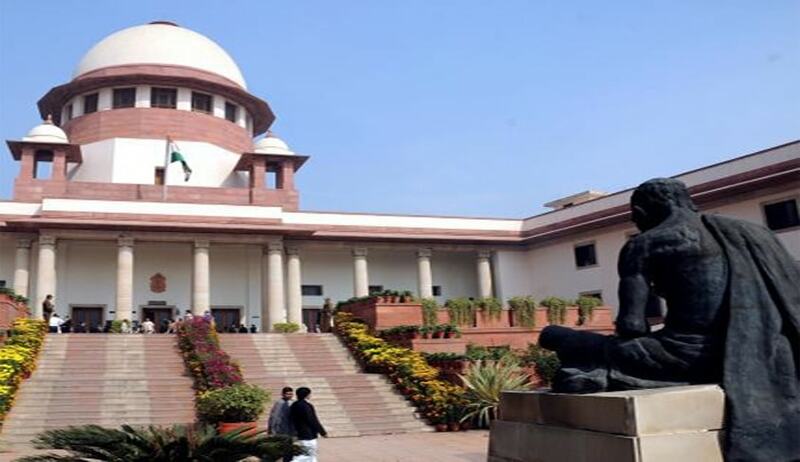 Attacking NJAC judgment, the petition sought for a judicial declaration from the Supreme Court that the verdict “killed” the fundamental right of an “ordinary lawyer” to be considered a judge and thus closing the door to reform in judiciary. The judgment, it contended, has “perpetuated the zone of consideration of judgeship to the few powerful and privileged who have either political connections, who are well-heeled or who have their kith and kin in the higher echelons of the judiciary”. “No mechanism in substitution thereof, which will provide for a just, fair, open and non-discriminatory selection and appointment of Judges from a diverse and wider pool of candidates than the traditional ones, namely, the kith and kin of Judges, their near and dear ones, has been brought into existence and that the proposed Memorandum of Procedure, which seeks to provide for a non-statutory, if not secretive, eligibility criteria and procedure, is violative of Part III of the Constitution,” the petition argued. It said the judgment has hurt “the concept of democratic legitimacy in the matter of appointment of Judges to the higher judiciary”. The need for a public body, to be set up by parliamentary legislation, which is neither connected to the government nor the judiciary is necessary "to secure a selection from a diverse and wider pool of candidates, so too a fair and non-discriminatory selection and appointment will bring an end to the patronage and influence of the so-called legal luminaries and, above all, to be seen by the public at large that the judges who decide their affairs and destiny are selected in the fairest possible way". “A Judicial Appointment Commission which will be independent of both the executive and the judiciary to select Judges for the higher judiciary by inviting applications from all eligible candidates, invite references from all stakeholders, the Bar Associations, the public at large,” the petition said was its requirement.